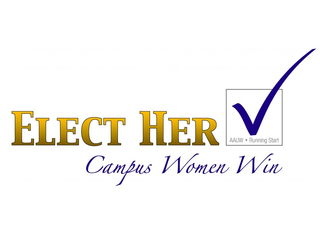 Elect Her, a free training program that encourages college women to run for student government, will be held at UMBC on Saturday, March 1 from 10.30 AM-3.30 PM in Sherman Hall, Room 220. The daylong Elect Her training teaches college women why more women are needed in student government and provides them with the skills to run successful student body campaigns. All students are encouraged to attend – Elect Her is open to all students of any gender. Find out more information and RSVP on myUMBC.